Ukiah, CA. January 9, 2019. 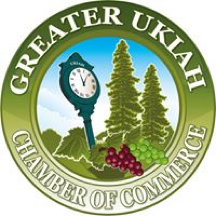 – The proposal to merge Visit Ukiah, the Ukiah Main Street Program, and the Greater Ukiah Chamber of Commerce will continue to move forward, having taken formal steps to evaluate the support of their members and leaders. Following several months of discussions and a town hall meeting in October, an official vote was conducted of the memberships; the results showed nearly unanimous support for the merger. With similar missions and often-overlapping board members, these three organizations have been exploring new ways of working together and consolidating resources. To facilitate the merge, an Executive Board consisting of an equal number of representatives from each organization has been developed and will begin meeting in January. The primary goal of the merged entity will be to preserve and enhance the most effective programs of each organization by creating additional staff support and eliminating redundancies. By sharing overhead costs, resources can be more effectively targeted toward the members and missions. While the logistics of the merge are addressed, each of the organization’s regular activities, events, and programs will continue to move forward. 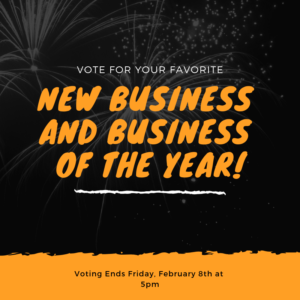 The Greater Ukiah Chamber of Commerce is a member-based nonprofit organization that focuses on the promotion of businesses Valley-wide through networking opportunities and special events. They also manage a scholarship program for local high school students and helped bring the Mendocino County Construction Corps to our area. 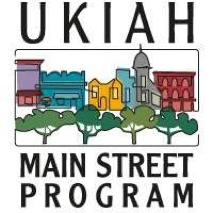 The Ukiah Main Street Program is a nonprofit organization that focuses on historic preservation, strengthening businesses, and increasing economic vitality in the historic downtown. Part of their funding comes from business licenses within the Downtown Improvement District and the remainder comes from events like Taste of Downtown and Pints in the Plaza. 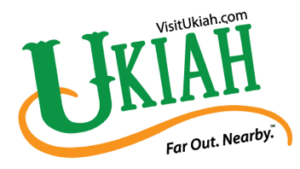 Visit Ukiah is the area’s visitor attraction program and is managed by City of Ukiah staff and a volunteer board. This entity focuses on marketing and promotion of the Ukiah area, particularly in the Bay Area and other parts of Northern California, and includes advertising in major magazines and representation at travel and leisure trade shows. Funding for Visit Ukiah comes entirely from the transient occupancy tax (bed tax) collected from Ukiah hotels.